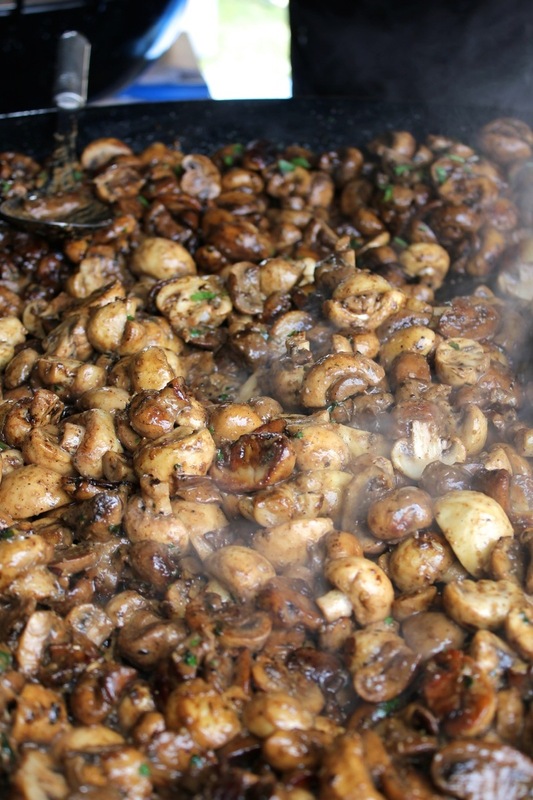 Creamy garlic mushrooms as served by the Garlic Farm Field Kitchen when we are at events and festivals and of course the Garlic Festival on the Isle of Wight. Place ciabatta upright on baking tray and drizzle with olive oil. Place under grill - careful not to burn! Alternatively, place in hot oven or toaster. 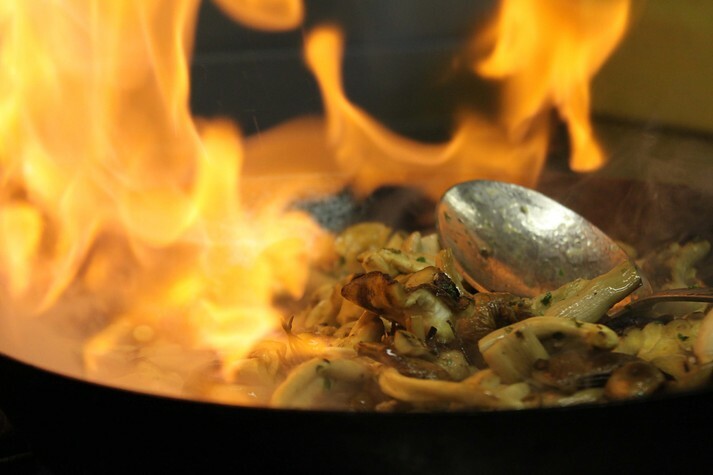 Over high heat, melt butter and a little olive oil in a medium sized frying pan. 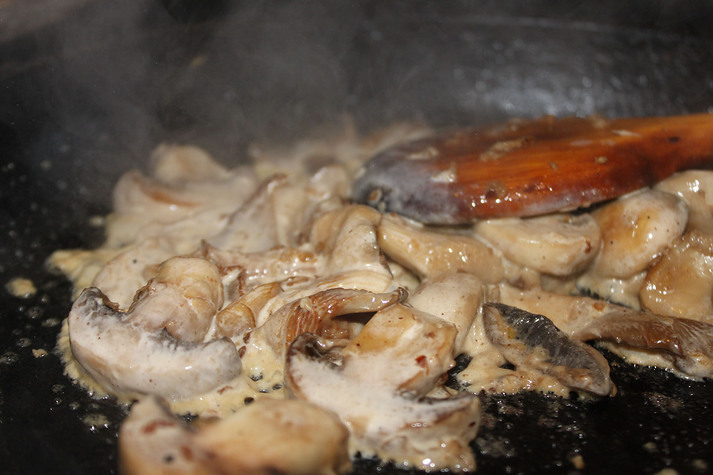 Add mushrooms and toss until they start to brown. Add garlic and cook for a couple of minutes before adding cream. Cook for 2 mins then add parmesan. Sauce should be thick and cheese stringy. Place mushrooms on top of ciabatta, rocket on top, a drizzle of olive oil, pinch of sea salt and a few shavings of parmesan.